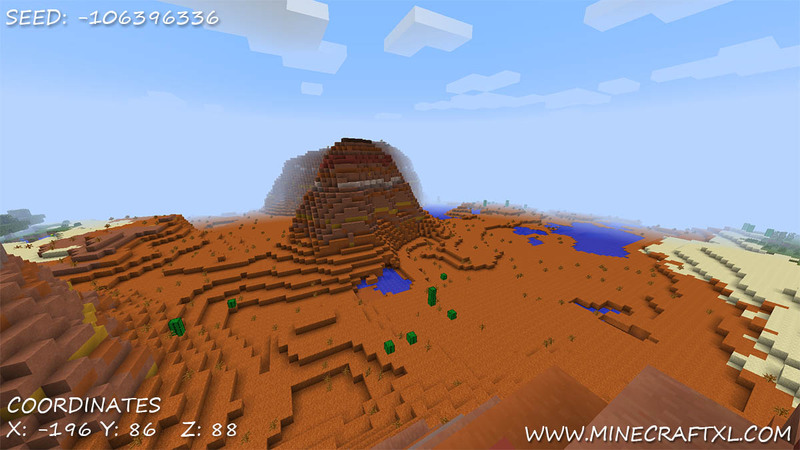 This cool features a spawn point in the new mesa biome introduced in Minecraft 1.7.2. 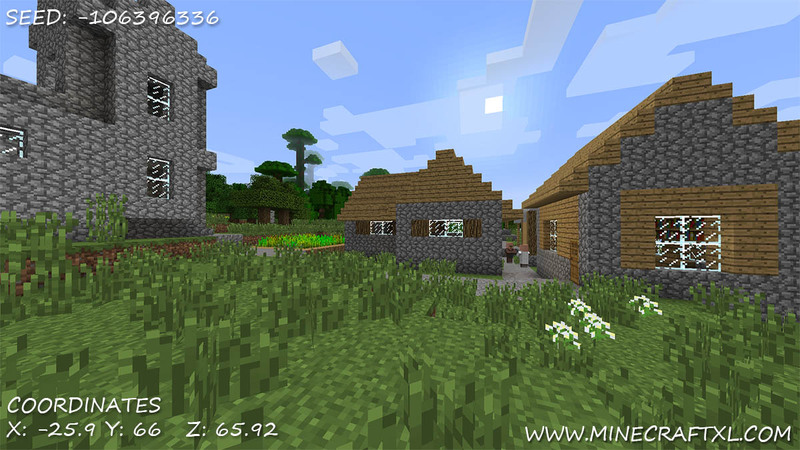 You spawn right between a NPC village and a mesa biome. 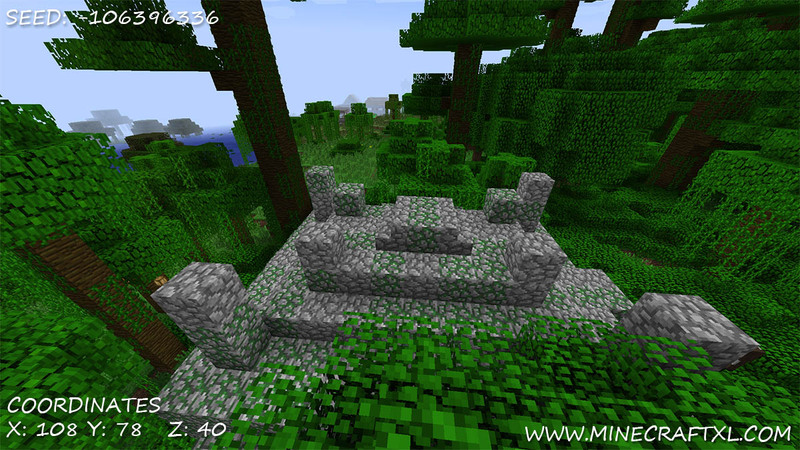 That is not all though, as right behind the village, you will find a jungle temple with decent loot (and plenty of tripwire traps). It is a very good seed for 1.7.2, especially since your spawn location is right between a jungle, forest, mesa and swamp seed, giving you fast and easy access many different materials, and if you chose to loot the temple first, easy and fast access to materials such as iron and bone. Perfect for a good start in the new Minecraft. Last tested in Mincraft 1.7.2. Might work in later versions as well. A pretty good and cool seed overall, and it grants easy and quick access to the new cool mesa biome. Can also be used if you simply want to easily experience this new biome for yourself. Either way, enjoy it, and remember, if you chose to build your own Black Mesa from Half-Life on this map, be wary of any G-men and resonance cascades! You don’t want to accidentally open a portal to another world filled with horrible and deadly creatures, unless it is to the Nether or The End. If you find any other cool stuff on this seed, please feel free to share them in the comments below, along with the coordinates and such, so others can enjoy them as well.